An area for discussion of Dolph's past, present & future movies! Even the colours look so much like The Shooter. I hope this is a decent starring role for Dolph as it's been a while. Rolf de Heer may strongly dislike this title! La particolarità di questa colonna musicale è quella di aver fuso l'Action sound con l'Etnia del sud dell'Italia, essendo il film ambientato in Puglia. Lo sforzo è stato conferire potenza a strumenti musicali proverbialmente più riflessivi ed intimi, miscelati al rigore dell'orchestra sinfonica di Dnipropetroska che diressi personalmente. The particularity of this musical column is that of having merged the Action sound with the Etnia of the south of Italy, being the film set in Puglia. The effort was to give power to proverbially more reflective and intimate musical instruments, mixed with the rigor of the Dnipropetroska symphonic orchestra that I personally directed. I like the sound of that (no pun intended). It's cool to have a movie with an orchestrated score. 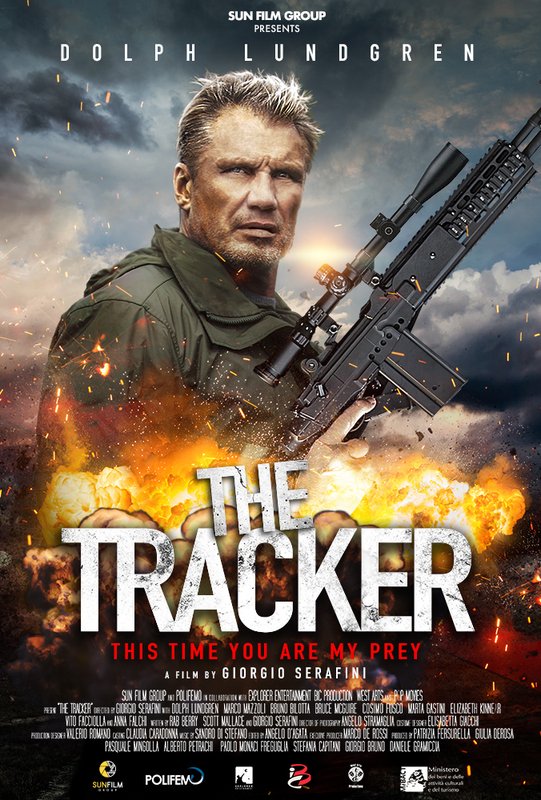 THE TRACKER, con Dolph Lundgren, nella foto con SLY, pronto per la cabina di lancio. Ringrazio i produttori, il regista, il mio editore Andrei Filip, il discografico Kemper Music, ogni mio assistente, l'orchestra, i solisti, i tecnici ed i line producers che hanno consentito questo risultato. Me: It's great to have an orchestral score on a low budget action film these days. Do you know yet if there will be a soundtrack release? SANDRO DI STEFANO yes, it will be available very soon on digital store by Kemper Music Label company. It was really nice. Between 2013 and 2014 you made three action movies with Dolph Lundgren, but also with other big stars attached like Vinnie Jones (who was also in all three of them), Robert Davi, Billy Zane and others...Thrill to Kill, Blood of Redemption and Lethal Punisher. Can you tell us something about these movies and this time? Those three movies were a consequence of Game Of Death. All of them had Voltage Pictures attached to it. I directed four movies with Dolph and produced a fifth one. The last one is “The Tracker” that I shot in the South of Italy and will be released in 2019 by Lionsgate. I just produced “Hard Night Falling” which I also co-wrote. It was fun to work with Dolph, Billy, Robert and Vinnie. Dolph is a good person and I always liked to work with him. Which one of this three is your favorite (mine is Lethal Punisher) and why? Out of the three films I directed in that period my favorite one is “Puncture Wounds” which, I believe, is the one you are mentioning. It has a more creative style. It is more fun to watch and I enjoyed the idea that Dolph was playing the bad guy. Actor and Producer Gianni Capaldi was also in all of them. How important was he in the production of this three? Gianni Capaldi was the engine behind these three movies. He is a very hard worker and a good person. I is the one who really pushed for me to direct these movies. I am very grateful for that. You seem to have a special relationship with Dolph Lundgren. You just finished The Tracker with him. Can you tell us something About your relationship with him and what makes him Special in your eyes? Dolph and I have been workig together regularly and will continue to do so. It is an interesting relationship. We are both very no-nonsense people. Very matter-of-fact. We share an interest in history. We never clash. I know what he wants and our dialogue is very free. I hope I will be able to produce his pet project “Malevolence”. Other action stars you would like to work in the future? I would love to work with Jason Statham and… the list is too long. Can you tell us something about The Tracker and what we can expect from this movie? The Tracker has a different feel than the other films I did with Dolph. 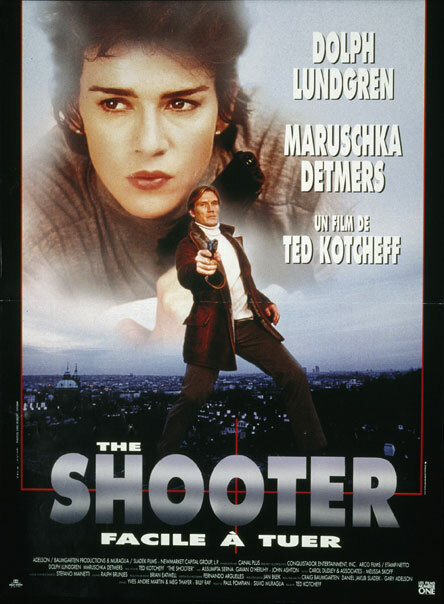 It has a European film noir style. I can't reaveal much of the plot even if it falls in the revenge sub-genre. The film was shot in Taranto, Apulia in the South of Italy. A gorgeous place that created a beautiful background for the story. It was fun to bring Dolph to Italy. He really enjoyed the experience. The production company failed to pay many members of the crew their agreed upon fees.